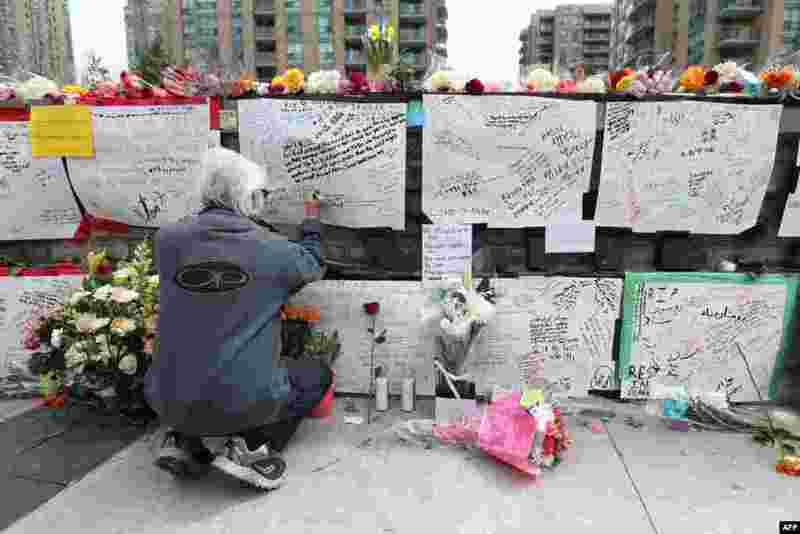 ١ Jack Young leaves a notes at a makeshift memorial for victims in the van attack in Toronto, Ontario. A van driver who ran over 10 people when he plowed onto a busy Toronto sidewalk was charged with murder, as Canadian Prime Minister Justin Trudeau urged a rattled nation not to live in fear after the "senseless attack." 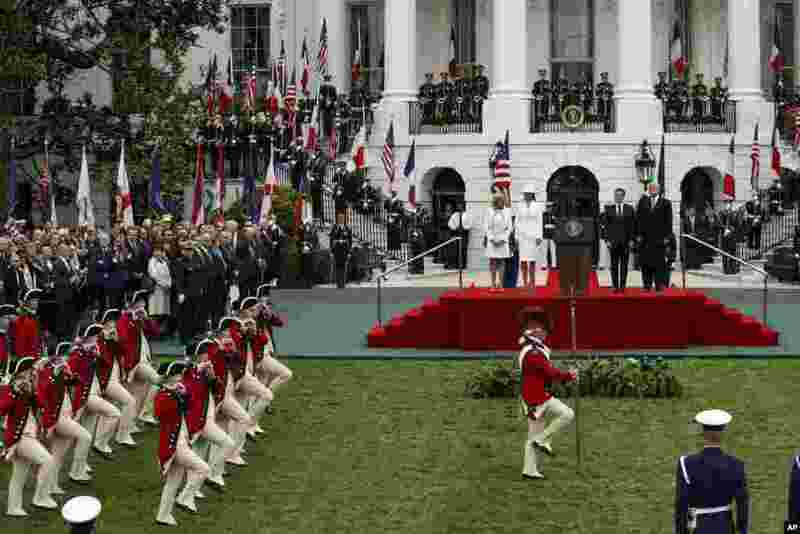 ٢ Brigitte Macron, first lady Melania Trump, French President Emmanuel Macron, and President Donald Trump look on during a State Arrival Ceremony on the South Lawn of the White House in Washington. 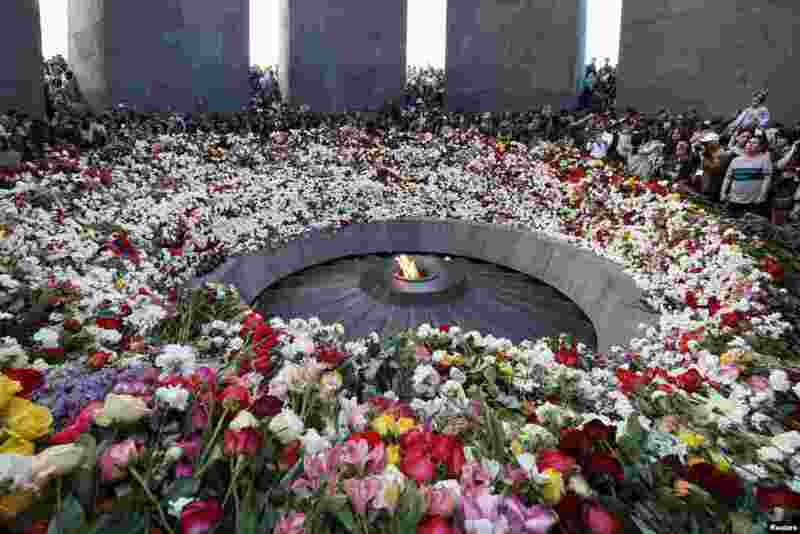 ٣ People lay flowers to commemorate the 103rd anniversary of mass killing of Armenians by Ottoman Turks, at the Tsitsernakaberd Memorial Complex in Yerevan, Armenia. 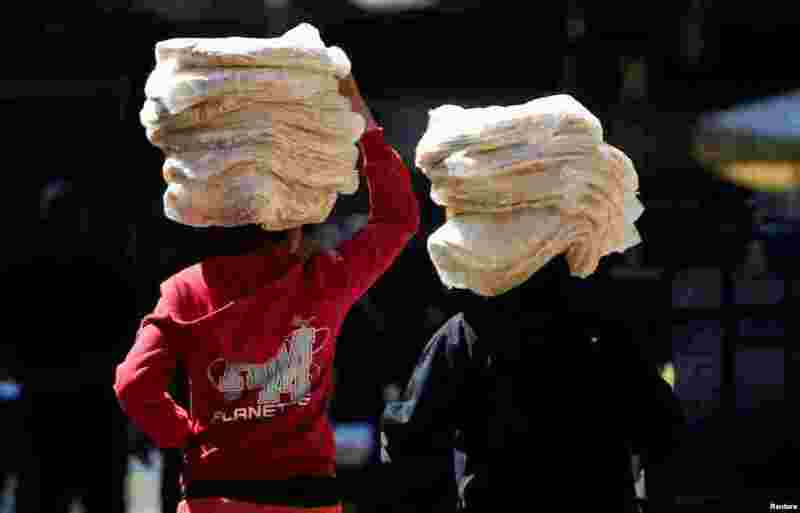 ٤ Children carry bread in Damascus, Syria.